Last week I had the incredible opportunity to take a business trip to the Faroe Islands! It is 1/3 of the North Atlantic Tourism Association, so together with Greenland and Iceland, we three countries are always looking for partnership opportunities to improve tourism in the entire North Atlantic region. I did go driving in the country one day, but when I was in the capital city of Tórshavn, my main activities were sightseeing and dining! 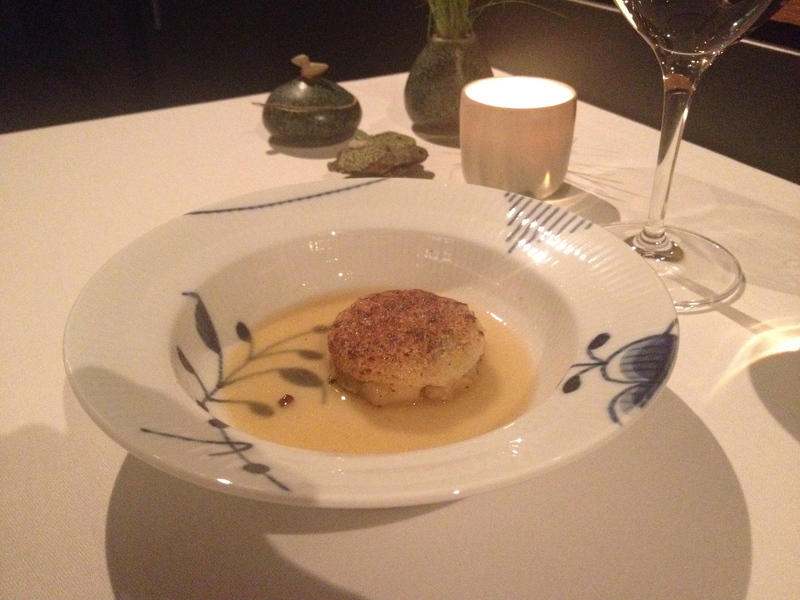 The Faroe Islands are a fantastic destination for the gastronome! They have a kitchen full of fresh fish and local meat, and everyone is keen to tell you a story behind the ingredients on your plate! 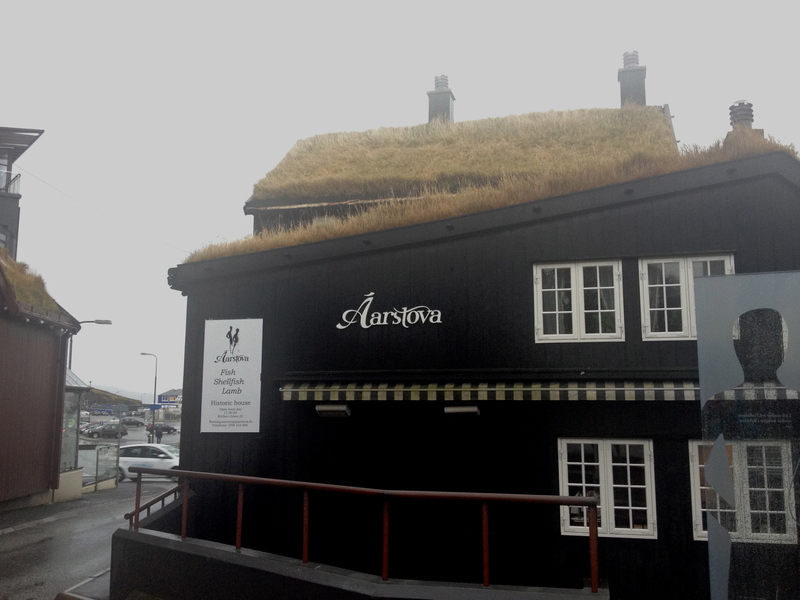 The first night, I ate at Áarstova near the harbor in Tórshavn. No photos of the food here, unfortunately, but my colleagues and I dined on vibrant whipped fermented fish crostini, the most delicate and divine piece of cod I ever tasted, heartwarming cod and langoustine soup, and the pièce de résistance, whole leg of lamb with root vegetables! Of course, the meal could not be complete without a cup of tea and a slice of rhubarb pie! 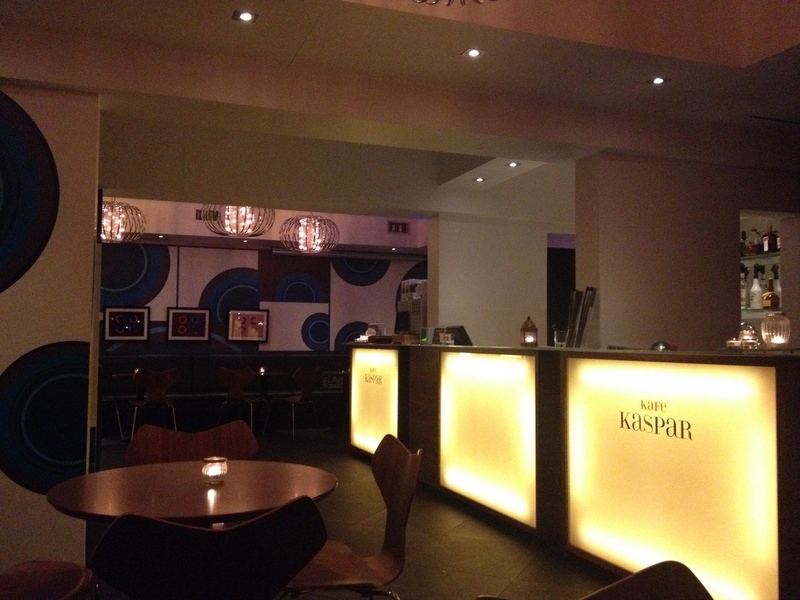 The second night I ate dinner at Kafe Kaspar, the cafe at harbor hotel, Hotel Hafnia. 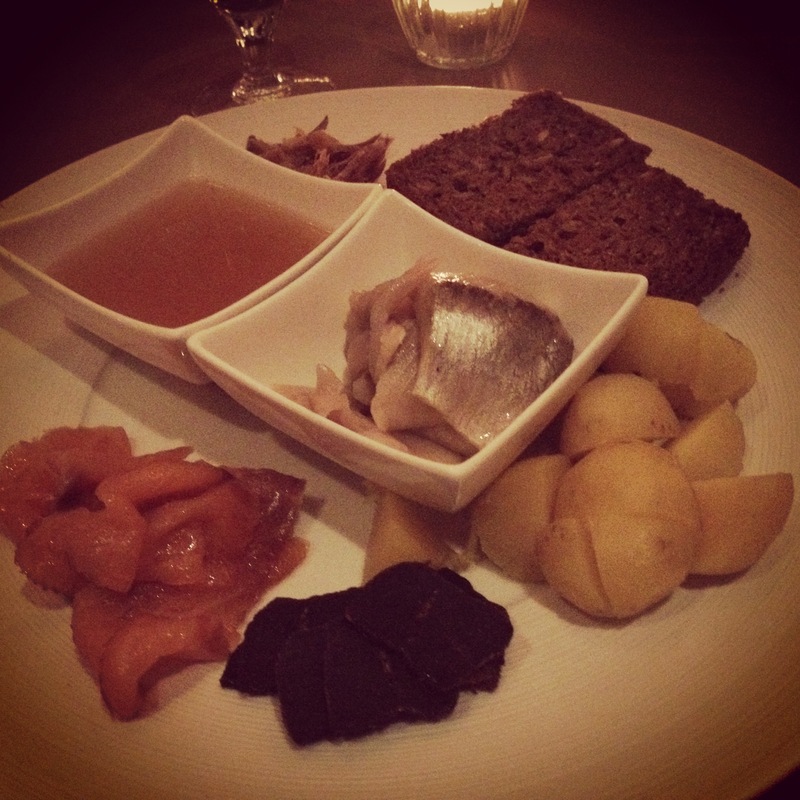 I ate a cozy plate of Faroese specialties and tapas! In center: røst sūpan (fermented lamb broth) & sild (herring). 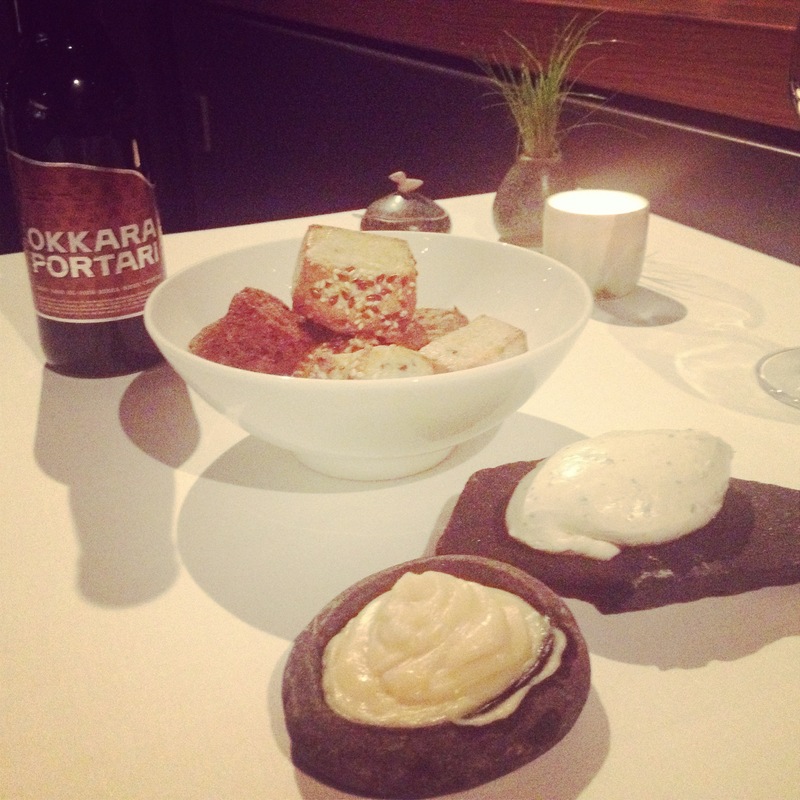 From the top: rugbrød (dark rye bread), eplir (potatoes), turr grind (dried Pilot whale), royktur laksur (smoked salmon) & ræst kjøt (fermented lamb meat). The third day, I ate lunch at Etika, a mod sushi bar. Again, no photos at this location, unfortunately, but we had all the classics! 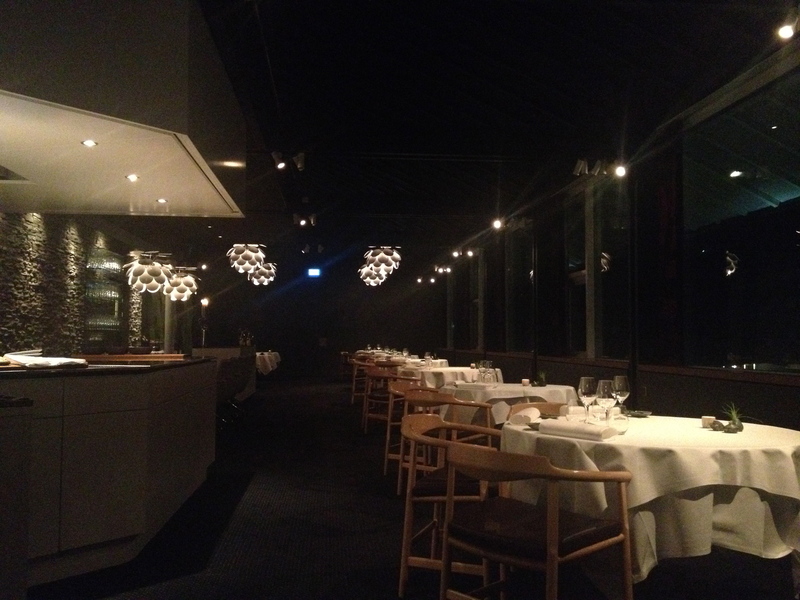 The fourth and final day, I ate dinner at KOKS, the restaurant at Hotel Føroyar that has recently held its own against Danish giant, Noma, in the contest for Restaurant of the Year 2013 in Denmark! This was truly the tip top of my dining experiences in the Faroe Islands, and from the pictures below, you can hopefully see why! The food was not only local and fresh and tasty, but each plate was created like an individual piece of artwork! With each course a different plate, different presentation, and new set of cutlery. The food was artwork, but so was the service! My waitress served each dish with such precision and choreography that it made me wish to be a fly on the wall in their training sessions!! Inside the dining room of KOKS. 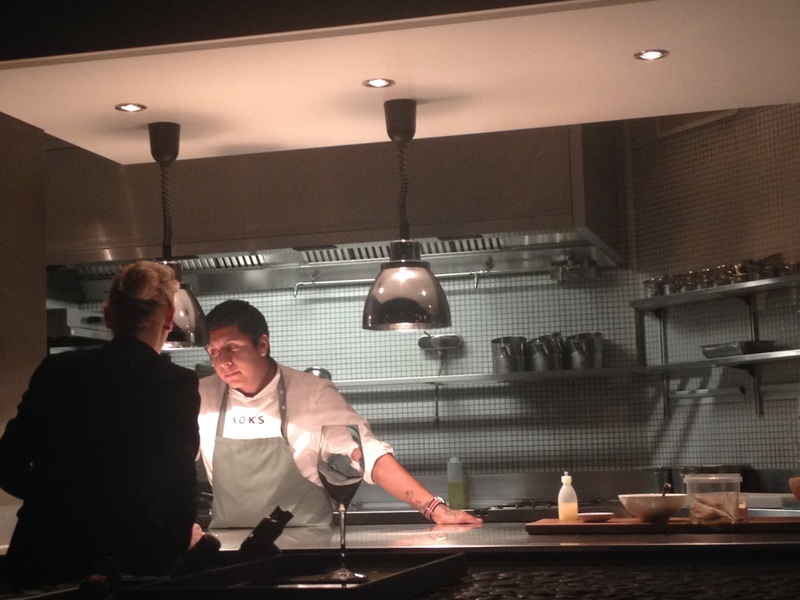 I had the best seat in the house – directly across from the kitchen so that I could see the chefs cooking and building each plate! Amuse-bouche No. 1: Fermented Cod Trio – fried skin, fried meat, and backbone for presentation. Served with parsley creme fraiche. Perfectly crunchy, and I think I liked the skin more than the meat! Amuse-bouche No. 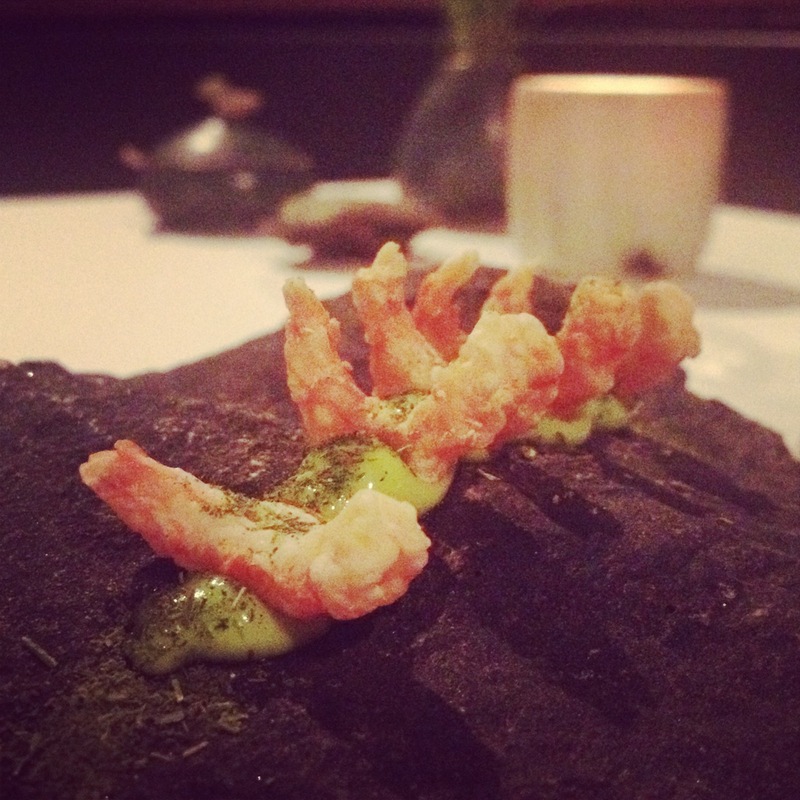 2: Dried Faroese Shrimp over Parsley Mayo. The photo actually does a pretty good job of magnifying these little guys. In reality, they were no more than a few centimeters long!! Five tiny pops of flavor! 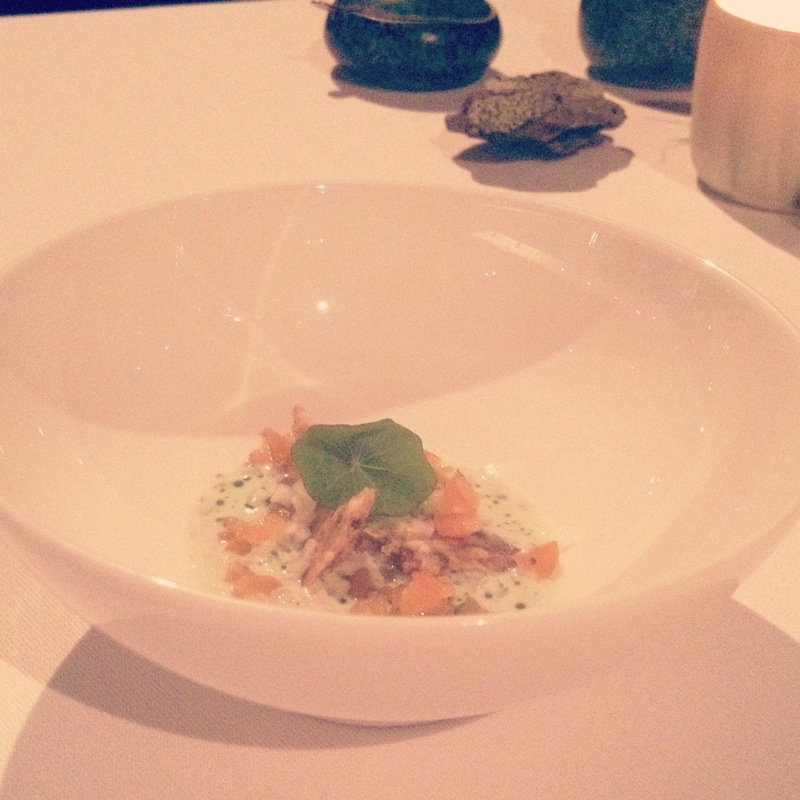 Amuse-bouche No. 3: Smoked salmon over dill cream. The hotel manager’s parents smoked this fish themselves at their personal home! You can absolutely taste the love! Malted Bread: Same malt as in this Portari beer. Served with brown butter and a chervil creme fraiche. Just what I needed to soak up some of the wine that came paired with each course! And I even opted for half the wine typically served! Course No. 1: Scallop with celery, celeriac, finished with brûléed cheese and a celery root & brown butter reduction. The presentation with this one was stunning! The dish came with the cheese cold, and to me it looked like a wafer on top, really. Then the chef came over with his mini torch and melted the cheese right at the table! Okay, wait for it… I am totally stupid and did not charge my iPhone on this night. And I did not have my digital camera with me, either. So a description of the next 6 courses will have to suffice! Sorry! Course No. 2: Poached egg sprinkled with fermented fish flakes and pulverized seaweed; served with a side of Faroese potatoes and a butter infused with lamb stomach essence. This one was nice, but others took the cake! Course No. 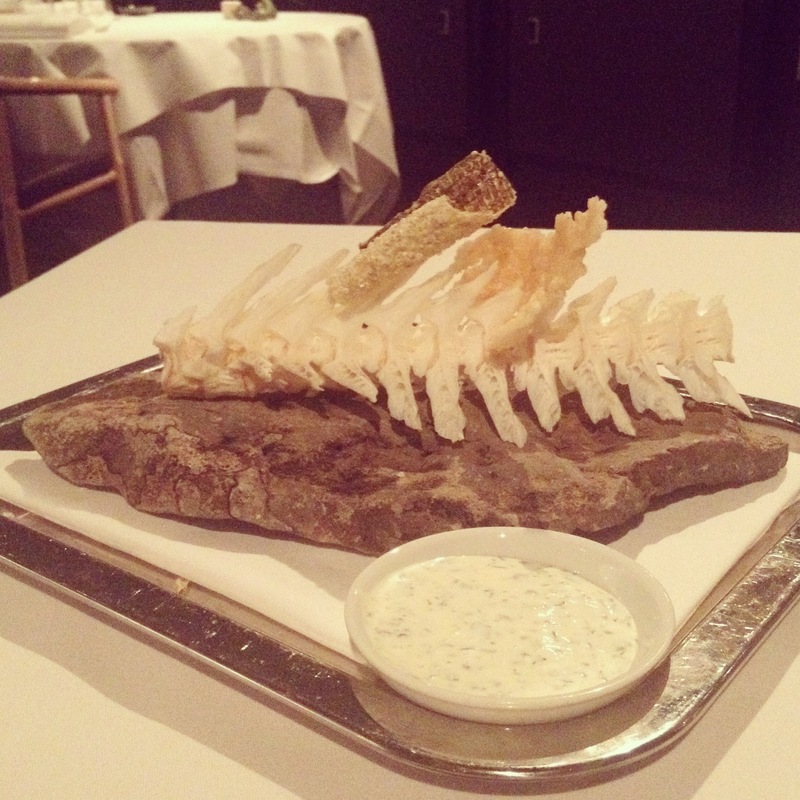 3: Steamed langoustine with a citric butter and smoked spruce. Complete with a warm finger towel. This one might have won for presentation points! No cutlery, eat with your fingers – and then cleanse them with your own personal finger towel staying warm in your own personal hot stone. The smoked spruce was so good! It was not to be eaten, just to infuse the air! It was like being at the most gourmet campfire ever! Course No. 4: European flounder over a cauliflower puree with Faroese mayroot and finished with brown butter. Course No. 5: Lamb heart tartare with beet root and pulverized spinach. Served on a handblown glass plate. This one was delicious! But talk about purple mouth – forget about the red wine staining your teeth! Lamb heart and beet beat all! Course No. 6: Faroese lamb loin dry rubbed with thyme and garlic with a side of bulgar wheat & spinach with peppercress. Served with a beautiful knife & sheath with silver inlays of whales, harpoons, and boats. Course No. 7: Celeriac and caramel ice cream with dried blueberry, crumbled malt cracker, and a salt cream. Eating this dessert was like going back in time and eating the best Fisher’s popcorn in Fenwick Island, Delaware with my grandmother! The dessert was so perfectly balanced of creamy and crunchy, salty and sweet! I could have wished for a second! !